Spring is a wonderful time to visit Italy….it is not too hot and there are less crowds and Easter is a special time to visit and experience Pasqua traditions, which are many and varied from region to region but all begin the week leading up to Easter. Many town and villages prepare regional specialty dishes for the lead up to Venerdi Santi - Good Friday. There are many beautiful religious traditios which take place. One Easter tradition in Florence is the Scoppio del Carro or exploding basket. A decorated wagon is pulled through the city by white oxen who are decorated with flowers. The processional takes them to the Basilica di Santa Maria del Fiore where after Mass, the Archibishop delivers a dove shaped rocket into the cart where fireworks await. The result is a stunning display of fireworks followed by a parade with people dressed in medieval costumes. Please do get in touch ! If you purchase from a private individual as a first or main home you will save €1,260 in every €100,000, again another 1% decrease. 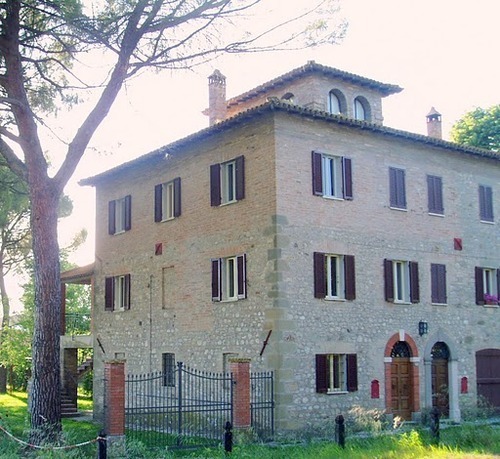 So, if your Italian property is €300,000 you will save the sum of €3,780 on a first home and €2,700 on a second home. In these times when just about every which way you turn you are paying more, this is an unexpected surprise. It is also the time when property prices are still at their lowest but are starting to show signs of rising in the more popular areas, so now is a perfect time to buy a property. Luxury Italian real estate is showing signs of increasing, another very positive factor when you are considering buying your property in Italy is the absence of inheritance tax as long as you leave the property to a close relation. 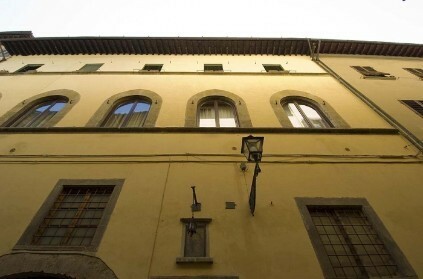 Finally, if you do not sell the property for 5 years capital gains tax in Italy is not payable. The beautiful unique exterior of the residence is unparalleled charm and its characteristic spacious interior. It is finely furnished and with a mix of traditional and all the modern comforts to make your stay memorable and unforgettable. 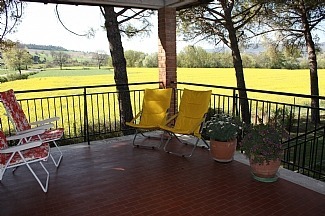 Both bedrooms share a wonderful balcony with stunning views over the panorama and a beautiful sunrise. As the complex are wine producers and olive oil specialists, guests can visit the winery and have tastings of the excellent wines produced and the fantastic extra virgin olive oil, which surrounds the country estate as far as the eye can see. Excellent rates - please get in touch for details. 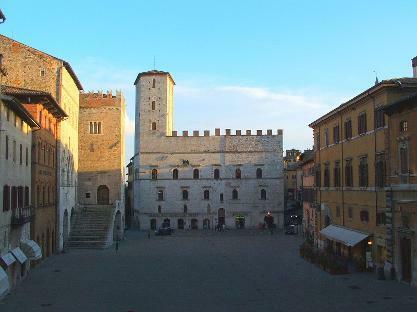 Just 10 minutes from beautiful Todi, an exquisite residence within an ex Monastery complex surrounded by stunning Umbrian countryside, historic towns, cypress trees and olive groves. Beautiful residence apartment with an exterior that is the stuff of Italian dreams…. 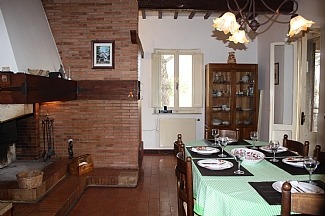 Fantastic reduction of this 18th Century large country house - just 10 minutes from Roman Medieval Todi, Umbria. After a very busy 2013 which included visits to several new wine producers in Italy, as well as arranging many tours, workshops and tastings at winerys in Le Marche and Umbria, we at Vinitours decided it was time to update our increasingly popular website, this would allow us to introduce many new features, including several new wine tours to our existing clients and also new visitors. The original Vinitours website was created in 2010 to cater for the growing demand for specialist tours to small bespoke wine and olive oil producers in Italy, so by late 2013 as we had a large selection of these tours and workshops in place we decided that we needed to expand and improve our website and other promotional materials. Dopo un 2013 davvero pieno con visite a moltissimi produttori in Italia, la realizzazione di tour, seminari e degustazioni in cantine marchigiane e umbre, Vinitours ha deciso che è tempo di rinnovare il prorpio sito web sempre più visitato, permettendo così a noi di introdurre molti nuovi produttori e tour in pregiate cantine Italiane a beneficio dei nostri clienti sia vecchi che nuovi. Il sito originale di Vinitours è stato creato nel 2010 per far fronte alla crescente domanda di tour su misura e specializzati in piccoli produttori artigianali di vino ed olio. A fine 2013 il sito presentava un'ampia selezione di tour e seminari ed abbiamo deciso che era il momento adatto per espandere e migliorare il nostro sito web. Il nostro nuovo sito di Vinitours ci permette ora di avere una dettagliata spiegazione per ogni tipologia di vino prodotta dai vignaioli con cui collaboriamo ed una completa lista di tour disponibili per il 2014. Ciò ci ha anche permesso di aggiornare il nostro sito di Olivaverde, spostandovi tutti i produttori di olio da Vinitorus, e concentrandoci su produttori di tutta la zona del Mediterraneo, creando una nuove sezione sul sito di Olivaverde che sarà disponibile dal prossimo mese. Mountain Biking from Ussita up to the Fargno Pass - downhill to the Valle di Panico in the Sibillini National Park.